Learn French with IEF and let Montpellier seduce you: a vibrant university town, starting with its medieval streets ideal for shopping or outing with friends, new neighborhoods combining natural areas and constructions signed by some of the greatest international architects, along with its new design trams signed by Christian Lacroix … A cosmopolitan student town where it feels good to learn French in the sun. 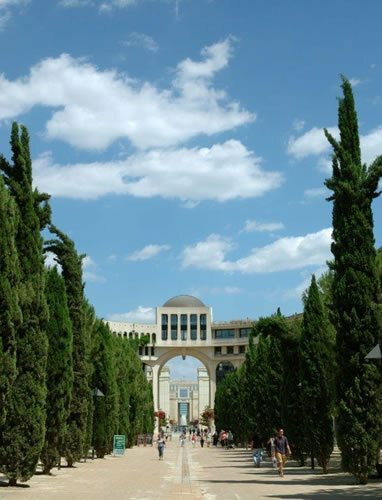 Activities: A busy cultural calendar ! Montpellier also means great festivals : Extreme Sports ( The FISE, Montpellier Beach Masters ), dance ( Montpellier Danse ), music (Battle Of The Year, Arabesque Festival, Radio France Festival, Internationales de la Guitare … ) , Street Art ( Temporary Art Zone ) , photography ( Les Boutographies ), cinema ( Cinemed ) without forgetting Les Estivales and Les Hivernales where you can discover the local products in a friendly atmosphere . 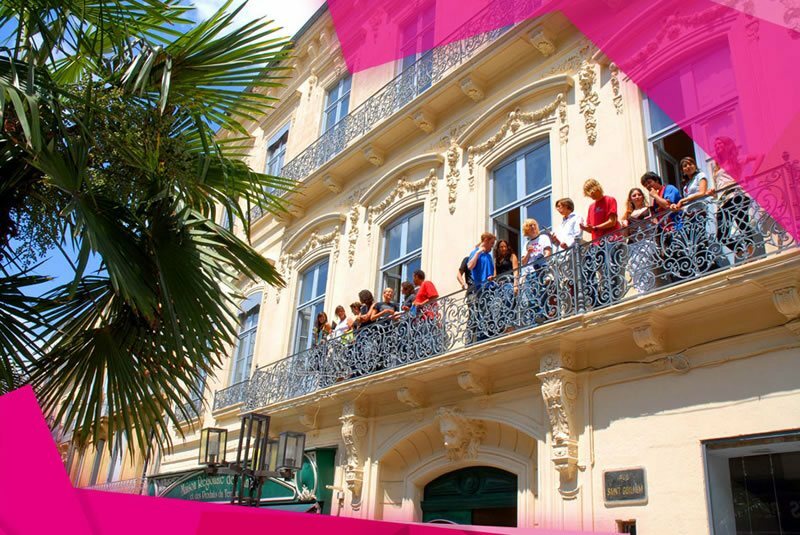 L’Institut Européen de Français is at the heart of the shopping streets in two old mansions classified as a French Building heritage . 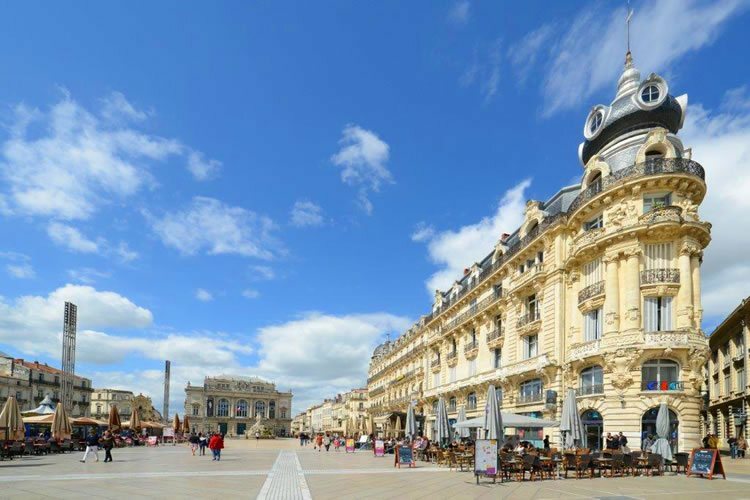 The busy heart of the city is at your fingertips : restaurants, coffee shops of all kinds , exhibitions … All this just a few steps away : Montpellier has the largest pedestrian area of France ! A unique environment for learning French in the south of France. 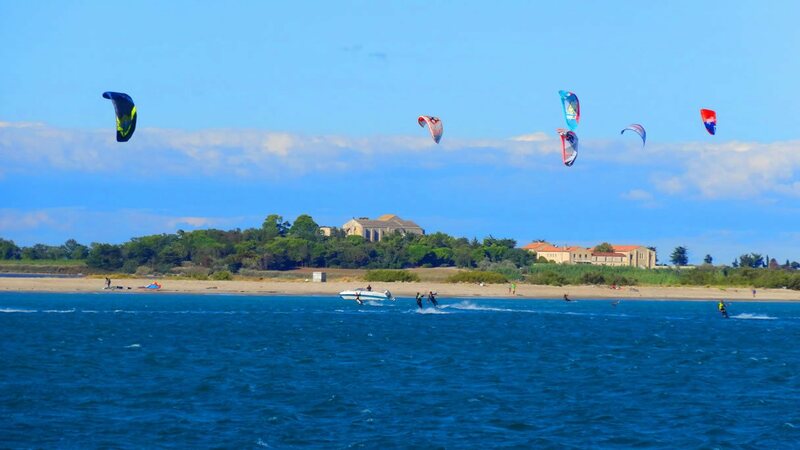 Montpellier and its surrounding area offer a land of adventure and a sea of entertainment. Whether you like the mountains, the sea, lakes, rivers, gorges or the countryside, … Montpellier will be your playground. 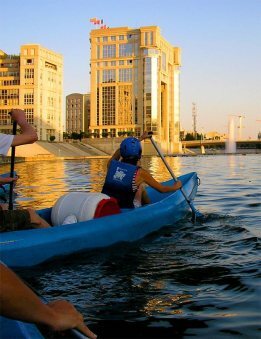 A unique activity program to relax and learn in the heat of the action. 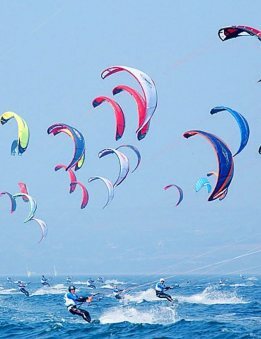 Hiking , cycling, windsurfing, kite surfing, stand- up paddle , kayaking … You choose ! 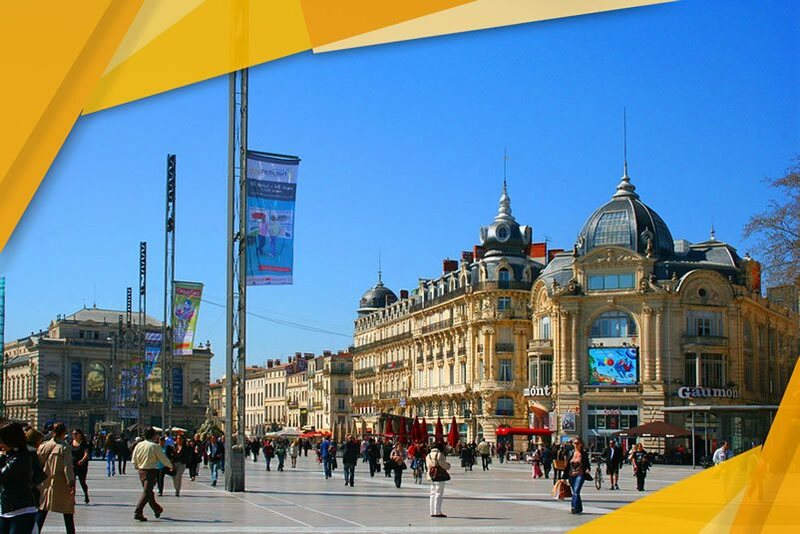 The sun sets in the city 300 days a year , awakening your 5 senses : Montpellier has the sun in the sky, its heritage, its accent and its population! Do not forget your sunglasses ! 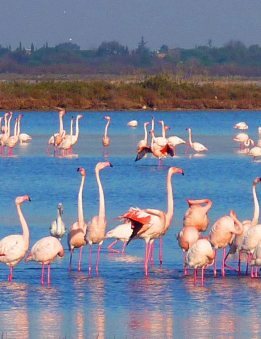 Come enjoy the beaches , marinas and numerous preserved natural areas where you will likely get the chance to observe a flight of flamingos above ponds. A desire for the sea ? Reach it just a few minutes away by car, tram or bike and enjoy the view! 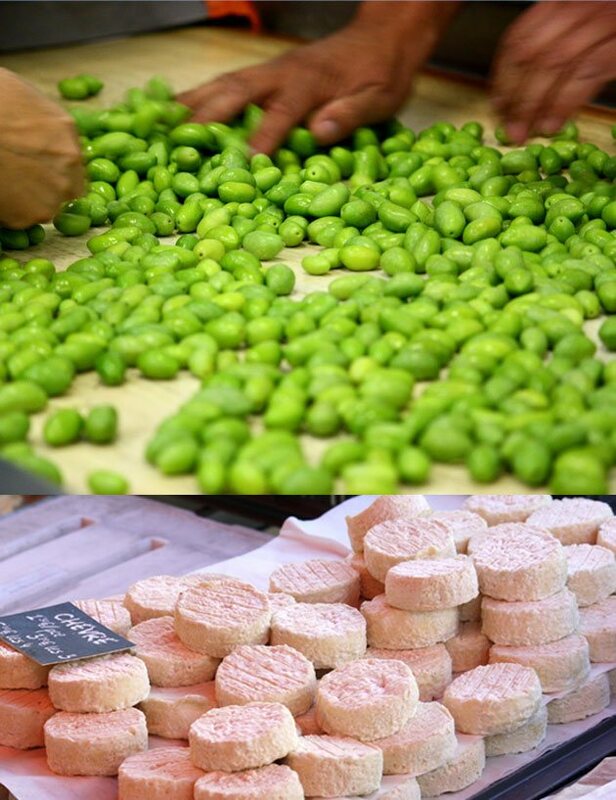 Montpellier’s gastronomy is a reflexion of the city and its surroundings: a unique journey between sea and land. The Languedoc vineyard is also very popular and of high quality with a multitude of white, red or rosé wines. Enjoy all the flavors ! QUALITY EDUCATION , ATTRACTIVE PROGRAMS , DYNAMIC & FRIENDLY ..
We recommend this course if you are at least 17 years old or an adult, and if you wish to learn, or to perfect your french for personal, school or business with a program of long term or short-term immersion. Several options are available to you. Professional or student, we recommend this course if you wish improve your level in general French and in professional French: Business French, French for medicine, administration, tourism and law. This program is tailored especially for French teachers (FLE-FLS-DNL) in primary, secondary or higher education. The objective of this course is to perfect your educational techniques and to introduce activities and tools motivate your learners. 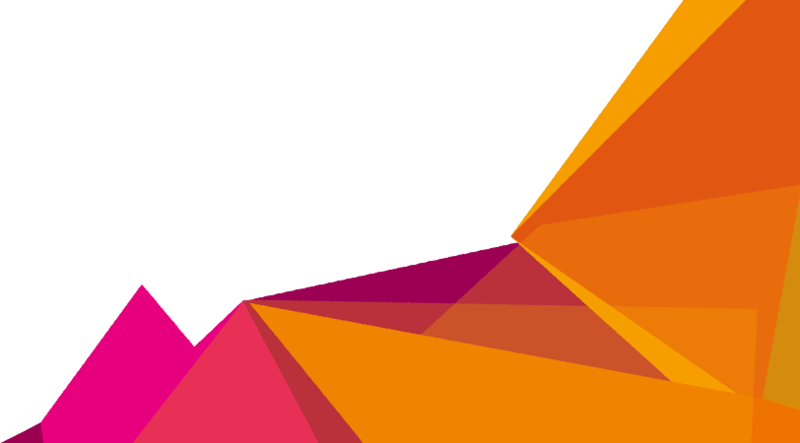 For European teachers, these courses are eligible in conformance with the ERASMUS + program. Discover l’Institut Européen de Français ! Je voulais absolument faire un stage en entreprise afin d’améliorer mon application de la langue française. 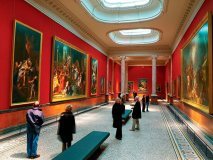 Vu que je suis belge, de la coté Flandre, la langue française est essentiel pour travailler à notre capitale, Bruxelles. Grâce à l’IEF et en particulier grâce à Magaly, j’ai trouvé une place de stage extraordinaire. Chez Duo Display, j’ai eu le temps de ma vie, travaillant au sein de l’équipe marketing et financier. Pratiquer la langue française avec les françaises est certainement conseillé, après d’avoir appris une bonne base de la langue française à l’IEF. Je voudrais remercier l’IEF en me donnant la possibilité d’apprendre la langue française. Et en plus, j’ai trouvé un travail comme auditeur à Bruxelles! Merci et à bientôt! ¡Me lo pasé fenomenal en Montpellier! ¡El equipo es espectacular! ¡Volveré muy pronto! J’ai passé un excellent séjour à Montpellier grâce à l’Institut Européen ! I love Montpellier and i love Institut Europeen ! Great place to learn French! Montpellier is a fantastic city! Minha experiência de estagio no Institut Européen de Français me possibilitou uma imersão na língua e na cultura francesa, além de ter – me permitido fazer belíssimos encontros. O ambiente na escola é extremamente agradável e caloroso. O contato com os alunos, com os professores e toda a equipe de L’IEF foi ao mesmo tempo amigável e profissional. Além do trabalho pude participar de diversos ateliês lingüísticos, colaborando dessa maneira para o aperfeiçoamento do francês.